This entry was posted on Thursday, February 4th, 2016 at 5:26 am. 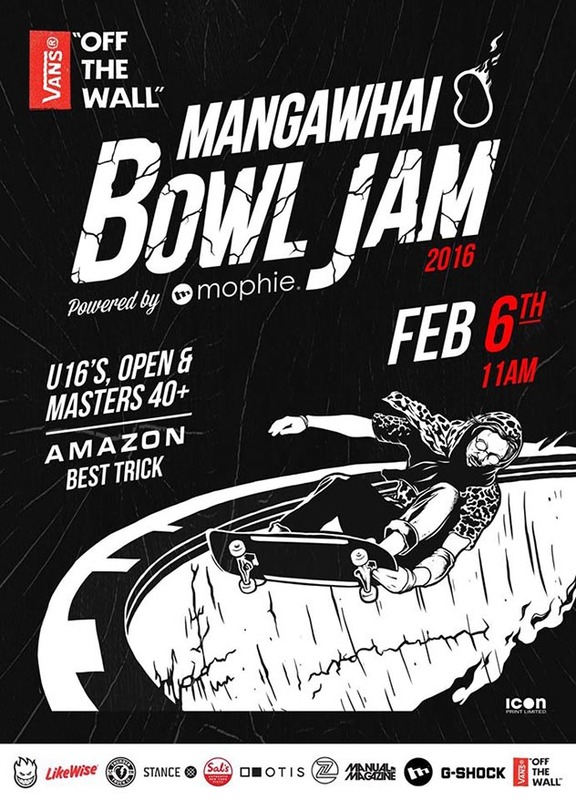 It is filed under Events and tagged with 2016, best trck, bowl jam, mangawhai heads, off the wall, skate bowl jam, skateboarding, vans. You can follow any responses to this entry through the RSS 2.0 feed.